El Nido is my dream destination in the Philippines. I would spend hours reading about it online, browse a lot of photos and talk to people who have been there – all describing how beautiful the place is. 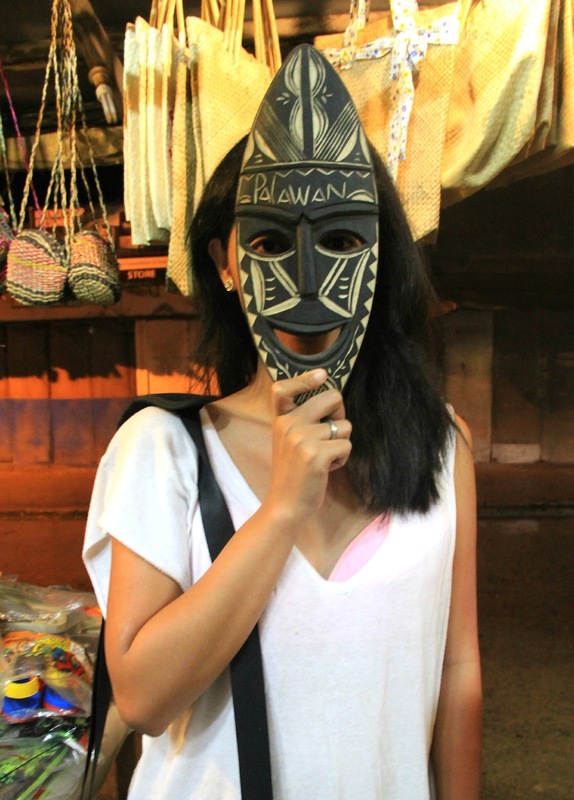 It’s even touted as the Philippines’ last frontier. So one day, I told myself to make that dream vacation a reality. 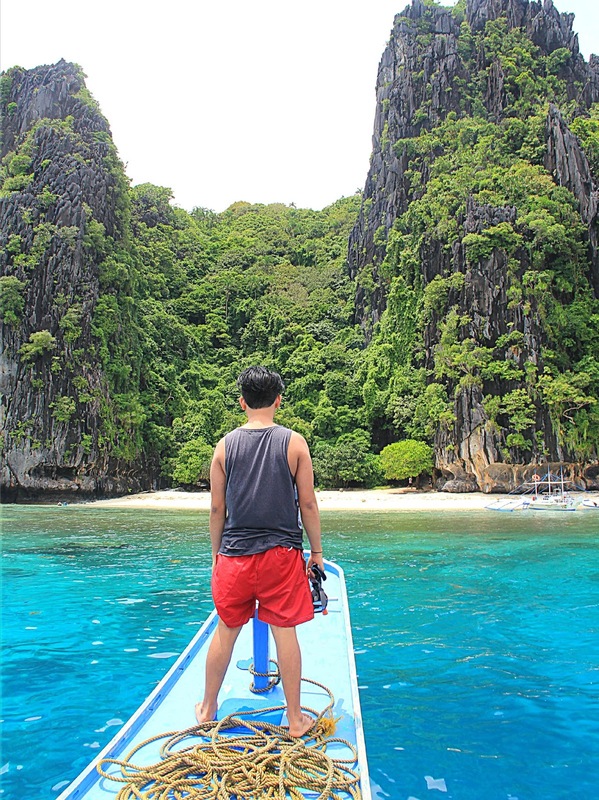 People say that traveling to El Nido is very expensive including accommodation, food, and round-trip flights. They would suggest that one should set a budget of at least 10,000 pesos for the trip. But I want to break that notion. I don’t want the trip to cost us an arm and a leg. 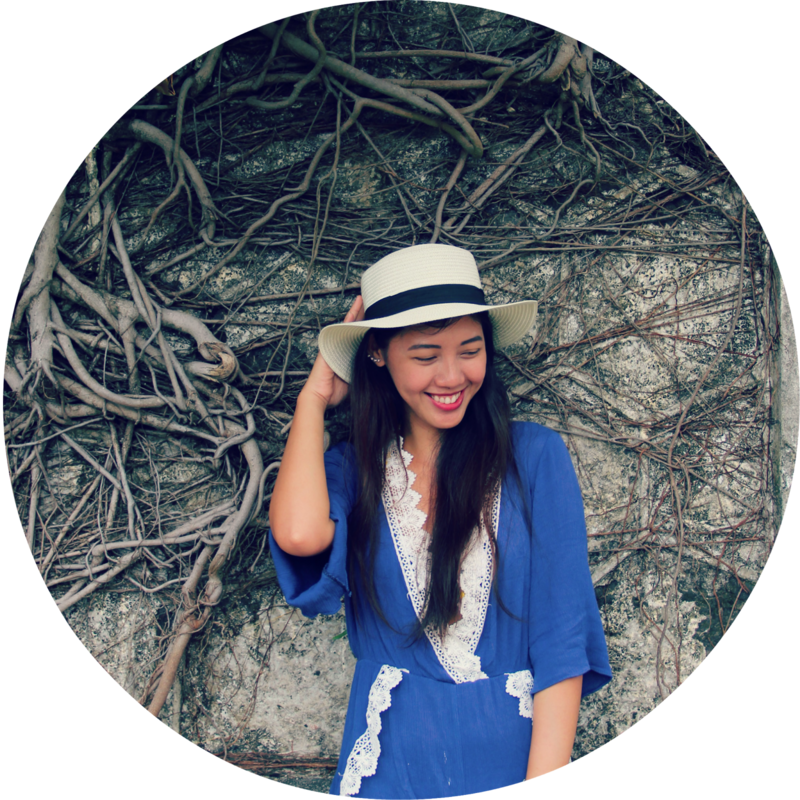 I would always… ALWAYS look for cheaper ways given that I am a budget traveler and a bargain hunter. And so, it happened! After almost a year of planning and saving, finally! 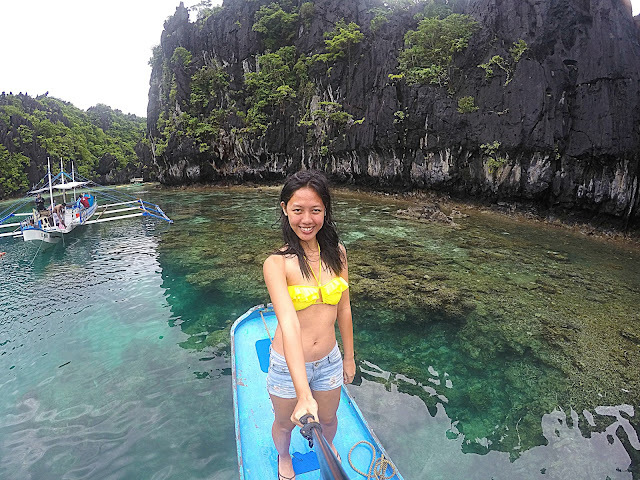 Hello, El Nido! 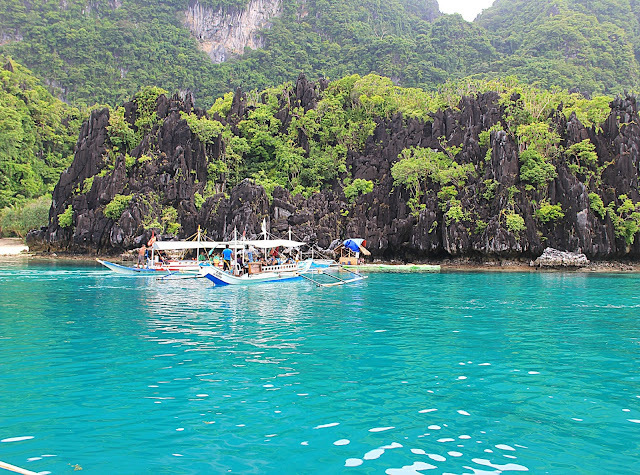 The massive karsts give El Nido a lost world vibe. The water is so clear and clean that everybody’s just snorkeling in three-feet deep. I’ve never seen a diverse marine life before, even in some gorgeous beaches near Metro Manila. I think it shows that the environment is well kept. I’m very glad that the tourism management in El Nido was able to keep it this way despite thousands of travelers go to this place each year. We had a two-day tour and chose Tour A and C as what most travelers have suggested. There are different sets of tour package: Tour A to E, depending on your choice of beaches. 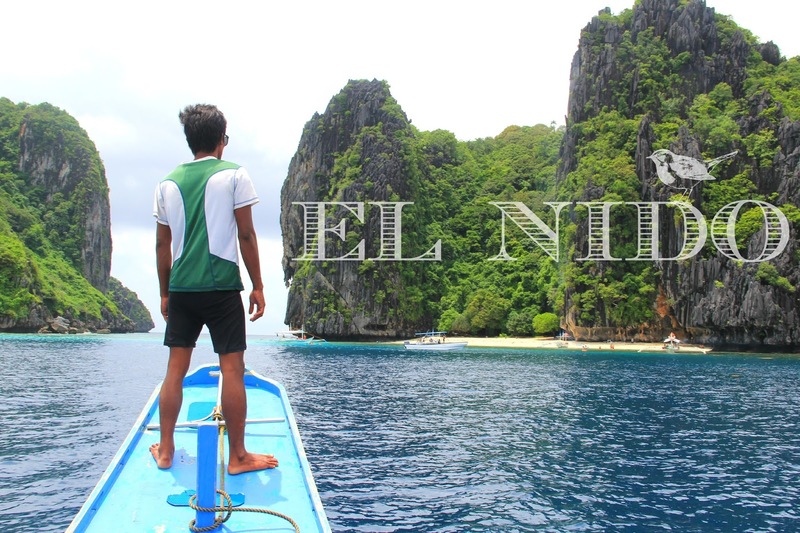 People say that Tour A and Tour C are the highlights of El Nido, so we just agreed to it. Tour E includes land spots such as the waterfalls and caves. 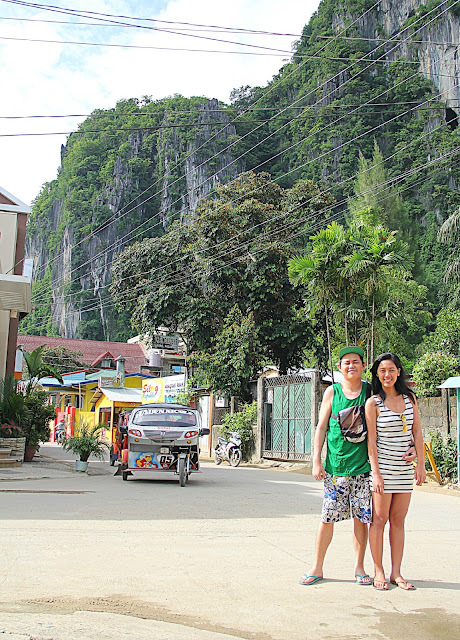 Tay Miloy’s Inn, perhaps the cheapest in El Nido, offers tour packages so it’s just a one time pay. Do your research - this will take much of your time. 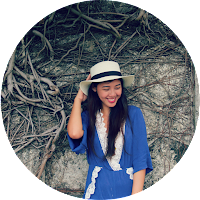 Reading numerous blogs has helped me to narrow down our expenses and come up with a good itinerary. Ask some people who’ve been there; they could give tips for cheap accommodations, tours, seat sale and compare. I kept on adjusting the schedule and budget so it would fit for the three of us since we are all working. Stay in contact with the accommodation owner or personnel to give you some insights and what to expect in their place. 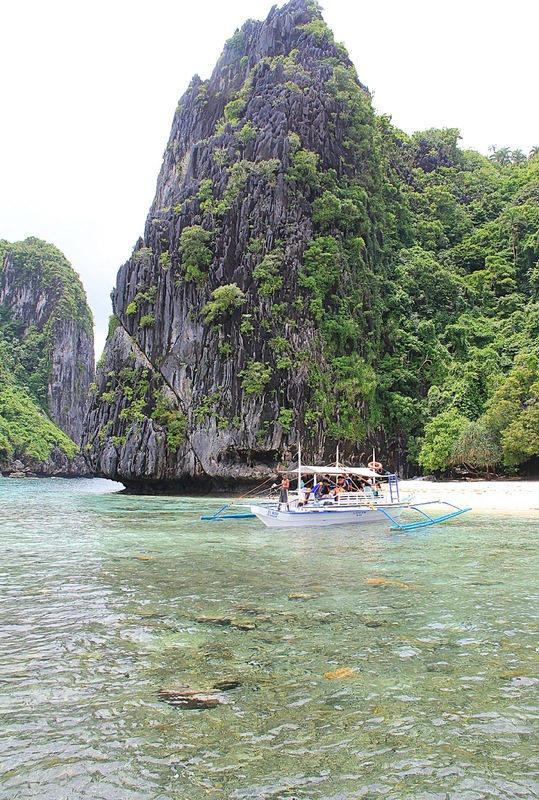 Note: Locals say that El Nido gets crowded with foreign tourists from November to January since its winter season in other countries. They suggest visiting the place from March to May. 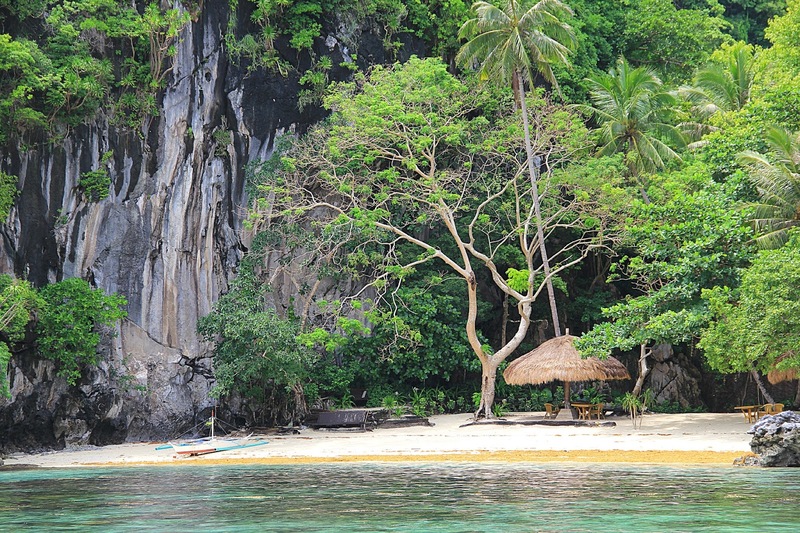 I’m surprised that there are many cheap accommodations in El Nido! It’s just that they are not much publicized on the internet that’s why people can only read about pricey hotels. A room with electric fan costs as low as 400 pesos a night. Some locals converted their homes into hostels. But don’t expect fancy air-conditioned rooms with cable TV and bathrooms with toiletries in budget rooms. A clean room with electric fan is enough since it’s not too hot at night and as long as you can sleep comfortably. Besides, you didn’t travel just to be in a room all day, right? Note: For tight budget travelers, I recommend TAY MILOY’S INN. It also offers tour packages with free lunch buffet, as well as free breakfast! Rooms are not that big but we’re able to sleep comfortably. Family rooms have its own restroom, while twin-sharing rooms share a common bathroom. You can also ask theAC to be turned on and it'll be added to your bill. The Waiting Game. I wasn’t able to book for Piso Fare deal in Cebu Pacific. Seriously, seat sale runs out so fast! So I waited for months, learning that the deal just pops up at the start of the year. Good thing that Air Asia announced its mid-year seat sale, though not much cheaper compared with Cebu Pacific’s. We still saved a lot from airfare since a regular round-trip costs as much as 4,000 pesos. 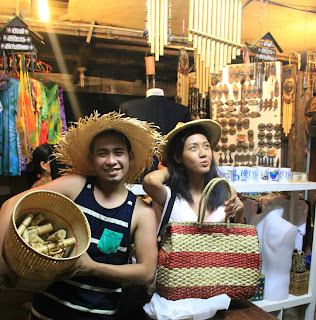 Ours was only 1,645 pesos! Hell yeah. Note: Follow Cebu Pacific and Air Asia on Facebook or Twitter for airfare sale alerts to Puerto Princesa. Or… you can, as long as you have the budget for that. There are lots of posh restaurants in El Nido, some are affordable and others can break your budget. Choose canteens and food stalls instead for cheaper meals. 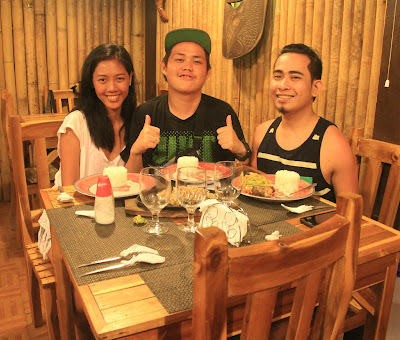 Nevertheless, we gave it a try in a fine café on our last night in El Nido. I can still remember that their tall glass of Mango smoothie costs around 130 pesos. Most boutiques and restaurants are owned by foreigners. Note: Just take a lot of pictures of your trip! Those are way more memorable than store-bought souvenirs and it won’t cost you anything. Also, there are no ATMs in El Nido so bring enough money especially when the need arises. The network signal is only good for Globe and Smart. 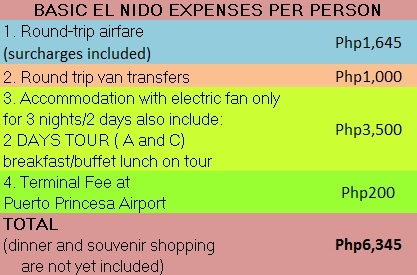 Here’s our EL NIDO ITINERARY AND BASIC BUDGET FOR 4 DAYS. 5pm - ETA Puerto Princesa Airport. 6hrs land travel via van from PP to El Nido. Stopover in Roxas town for dinner. 7pm – dinner at Kaptain’s Diner. A viand costs at around 130 pesos and it’s good for 2-3 people. I LOVE THEIR KARE-KARE. THE BEST KARE-KARE I EVER HAD! Window shopped at some boutiques after. 7pm – dinner (I forgot the eatery’s name) we also tried pizza, pasta, and desserts at Art Café and bought some souvenirs at nearby shops after. 10pm – pack up and rest. 8am – travel to Puerto Princesa Airport via van for 6hrs. Stopover in Roxas town for lunch. 4pm – ETD Puerto Princesa Airport. This was only our individual basic budget. Expenses will still increase for food if you'll buy souvenirs, add activities and if it’s peak season. I'm happy that we're able to stick to the budget challenge. We booked and paid for the round-trip flights a couple of months before the trip and the rest were paid when we arrived at the lodge. It’s still better if you’ll travel in a group so you can split the expenses. Commuting via bus is much cheaper than van but travel time is much longer, around 7 - 8 hours.